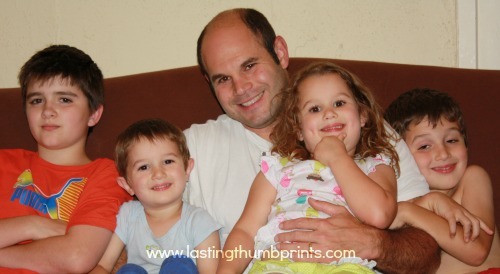 Family nights are a wonderful way to reinforce bonds and establish traditions with your children. It’s also just plain fun! And I believe that having fun is such an important part of being a family. I like to try to do something a little extra special at least once a month, but with our move and my pregnancy this is an area that has fallen by the wayside. Now that it feels like things are in more of a routine, I hope to start being more intentional about having this time as a family again. Our family nights are pretty laid back and more about the time creating relationships and memories together than anything else. I don’t think family nights have to be elaborate to be successful. And it’s extremely important to be flexible. It’s not about the plan. It’s about the moment. It’s about the people. And yes, everyone in the family gets in their jammies. Mother does reserve the right to send anyone who comes out in their underwear back for more appropriate mealtime attire. Ahem. The kids absolutely love it when we do this. Perhaps it’s the combination of doing something different (everyone in pj’s for dinner) and the word “party”. Put those two things together and you have a recipe for success. In fact, I’m going to let you in on one of my secret mommy weapons free of charge. Want to get the kids excited about something? Add the word party. To anything. I’m telling ya, I have seen mountains move, people. We’ve had cleaning parties, potty parties, reading parties, nose picking parties. Okay, not really nose picking parties, I just wanted to make sure you were paying attention. Any way, try it. I dare you. Back to the pajama party. 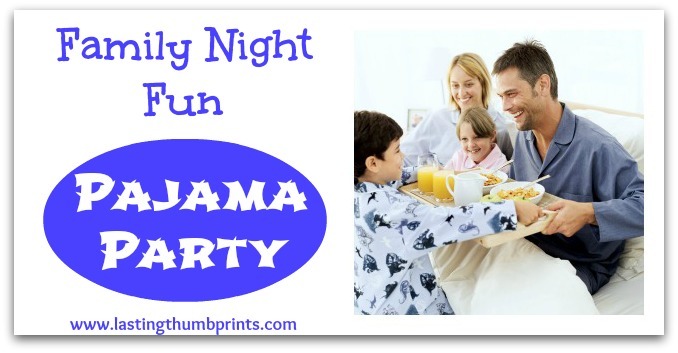 This really is so easy to pull off and (barring any spills) you already have your kiddos in their pajamas. Score! 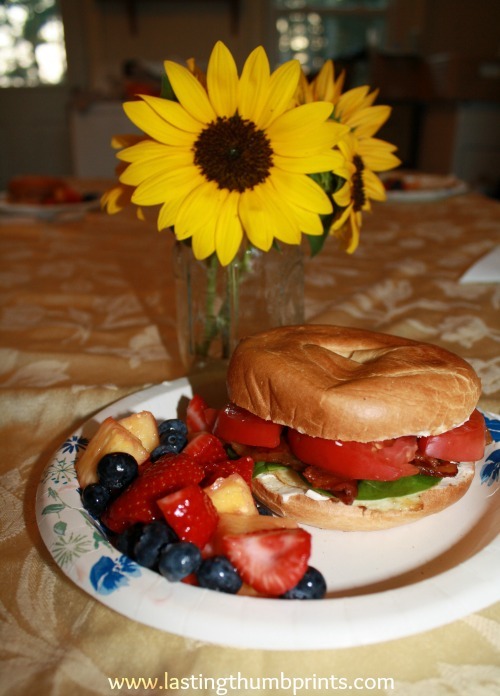 For this particular dinner, we had bacon, egg, and cheese bagels and a fruit salad. I added spinach and tomatoes to my sandwich, yum. Just pick your favorite or most convenient breakfast items. For our next pajama party I’m definitely going to be making these delicious pumpkin pancakes. And please consider making it even easier on yourself and use paper plates so clean up is a breeze. Those are just a few ideas, but there are so many things you can do with it. Just be together and enjoy the company. You’ll be strengthening your relationships and investing in the future.